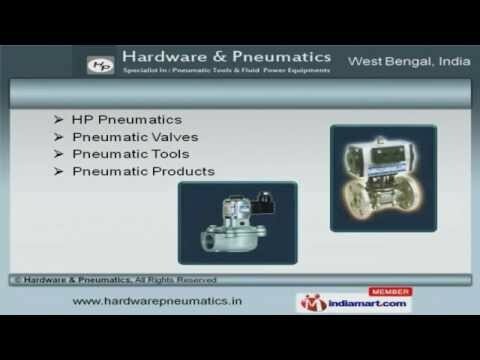 Welcome to Hardware and Pneumatics, Supplier of Hydraulic and Pneumatic Products. The company was incorporated in 1973 at Kolkata. Our Authentic and reliable vendor base make us different from others. Indian Railway and Nezone Group are some of our prestigious clients and we are backed by Capacious storage capacity and efficient transportation facility. We offer a wide assortment of Hydraulic Cylinders, Components and Direction Control Valves. HP Pneumatics, Pneumatic Valves and Tools are in huge demand across the global markets. Our Air Filters, End Cylinders and Differential Pressure Switches are widely acclaimed in the market. We also provide Control Valve Machines, Automatic Drain Valves and Hammer Pneumatics that are cost effective. We are highly instrumental in presenting a wide spectrum of Auto Drain Valves, Internal Pilot Operated and Direct Acting Series. Our Pressure Switches in Automobile, Tools for Workshops and Hydraulic Cylinders for Ships are widely demanded in the market.